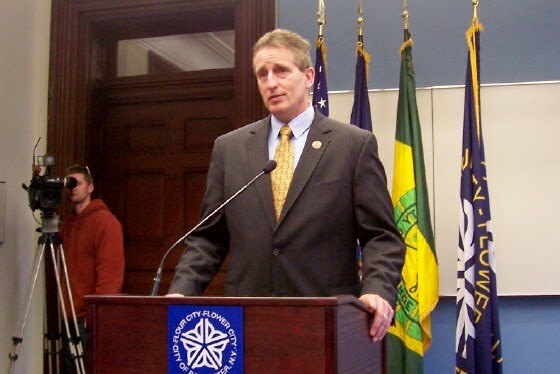 I want to take this opportunity to wish outgoing Rochester Mayor Bob Duffy well as he begins his new role as New York's Lieutenant Governor tomorrow. It was interesting for me to notice that Bob's final act as Mayor was his signing the multiple contracts I rushed through during the past week. A few friends have asked if I will be following Bob Duffy to Albany to be part of his team. The answer is no. I am looking forward to retirement from my long-time employment at City Hall, which will take place on May 6. As indicated in another blog post, I plan to spend my retirement years pursuing my passions and engaging more fully in my ministries as a married priest. Bob Duffy will be a superb Lieutenant Governor, and I would not be surprised to see him in the White House in the future. I admire his ability to get things done, and I am sure he and Governor Andrew Cuomo will be a dynamic team. My very best to all of you in 2011.